I have recently been on an ‘organising’ purge in my home. I recognised that there were cartons, boxes, and containers which had not been looked at in a while. It was time to sort and do away with what was not needed. It was spring cleaning on steroids. I am not really a saver due to the fact that I do not have unlimited space, yet I am aware that there is a tendency in me to accumulate too much of what I think is valuable ‘stuff’. Therefore, in spite of my tendenc y to ‘fling’, I seem to have accumulated an inordinate amount of baggage. I set about to clean with high-pitched fervour. As I sorted the items, I wondered why I had saved certain articles. They didn’t seem to serve any purpose, and I don’t even recall any sentimental attachment. Out they went. I repeated this sorting scenario time and time again. Eventually I had bag after bag of articles and items which had not survived the purge. One call and a local charitable organization came to pick up the whole assortment. I hoped that these treasures would be of value to others, and so I sent them off with a smile and a blessing. But, I did find some long-lost treasures. Old family photos were a lovely surprise. I thought I had all the photos sorted and in albums, but I must have missed this package. I am so glad to have located it. The photos will be labeled, and then transferred to a proper album for future generations. I also found a shoe box filled with ‘Get Well’ cards which had been sent to me when I was undergoing treatment for breast cancer in 2014. I did feel an emotional attachment to these cards. I brought the shoe box to the kitchen, made myself a spot of tea and started to read. I read and re-read every card and note. They filled me with absolute joy as I read the warm, witty, prayerful, and endearing sentiments expressed in them. I marvelled at the lovely thoughts expressed. I had already read all those cards and notes when I received them, but reading them again gave me new insight into the thoughtfulness and originality of the messages. I don’t recall these warm and wonderful feelings when the cards first arrived. Of course, on their original trip, the cards arrived one at a time. At this present moment, I had the whole collection in front of me, and I am sure that added to the joy of reading them. Also, when they arrived, perhaps I was too concerned with whether or not the cancer had spread to really concentrate on the lovely notes. Of course, I was now in a different place mentally because I have been cancer free for the past three years. So many factors obviously entered into my ability to internalise those lovely sentiments. I am so glad I re-read them. I felt immense gratitude to all those people who cared enough to write to let me know they were with me during those long months of treatment. Those treasured amulets went back into the shoe box for safekeeping so that they could be read and again enjoyed at a later date. That experience of reviewing those cards and notes and again relishing the contents, reminded me of an experience I had some time ago while listening to a very familiar gospel. To note, I am a cradle Catholic, and I have been at mass every Sunday all my life. Over the course of many decades, I have heard gospel stories again and again. 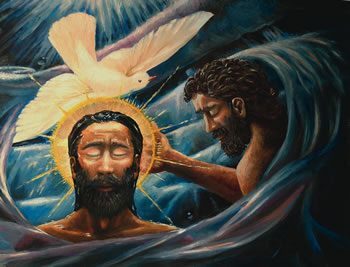 On this particular Sunday, the gospel was about the baptism of Jesus by John the Baptist. Over the years, little has changed in my response to that gospel. As John baptises Jesus, the voice from heaven says, “This is my beloved Son in whom I am well pleased.” The image of a very pleased God the Father expressing His love for Jesus always came right into my mind’s eye. The imagery seemed so obvious. What else could come to mind? But, not this time. For some reason, I immediately envisioned not God the Father, but my late father saying, “These are my beloved children in whom I am well pleased.” It was almost as if I could actually hear him speaking. I envisioned not Jesus, but rather myself and my six siblings being prayed over by John the Baptist while my father says he is well pleased with us. This new image took me by surprise, so much so it took my breath away. I considered that image for some time. I thought about my siblings and what fine adults they all had become, and yes, how proud my father (and my mother) would be of each of us. All the life lessons and the deep faith we had been taught have been lessons well learned. Each of us has lived out those lessons differently as we maneuvered through life’s ups and downs, but the goodness prevails in each. My younger brother, Paul, has already joined my parents in heaven, and I am so glad they are together. 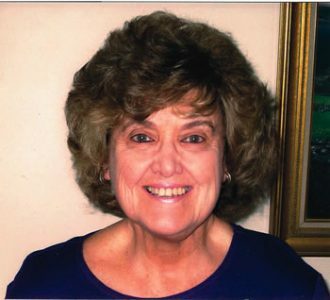 My heart was filled with gratitude as I thought about the fact that my parents’ efforts had helped to shape the seven of us into caring and responsible adults. In my newfound image, they were pleased and proud, and we were the humble, caring adults being baptised. It remains an image which brings me much consolation. As I reflect on that incident, I am still amazed that, for the first time, a different image came into my mind at that particular gospel reading. Perhaps it was because I was paying attention at a deeper level, and God’s grace was able to break through the barrier of my pre-conceived ideas and images. 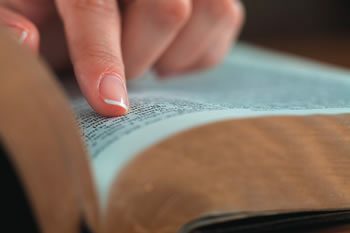 Whatever it was, it enabled me to see and hear God’s word in a distinctly atypical manner. I heard the gospel differently. 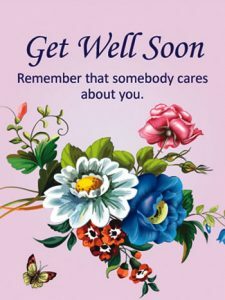 Even as I read my ‘Get Well’ cards in a distinctively different mind-set a few years after they were received, I had just heard a familiar gospel very differently. They were the same cards and notes, same gospel reading, but totally distinctive responses from me, the listener. There are so many lessons here for me. There is a great value to hearing the gospel messages repeatedly, because each time I hear them, I may be in a different space and I will hear a different message. Now, when the gospel starts to be read, I don’t say, “Oh, I have heard that before.” I listen with new ears and an open heart. What other treasures will I uncover as I pursue my purging spree, and what other lessons will I learn? Life is full of surprises!